Love the creamy goodness of mac and cheese? Of course you do. 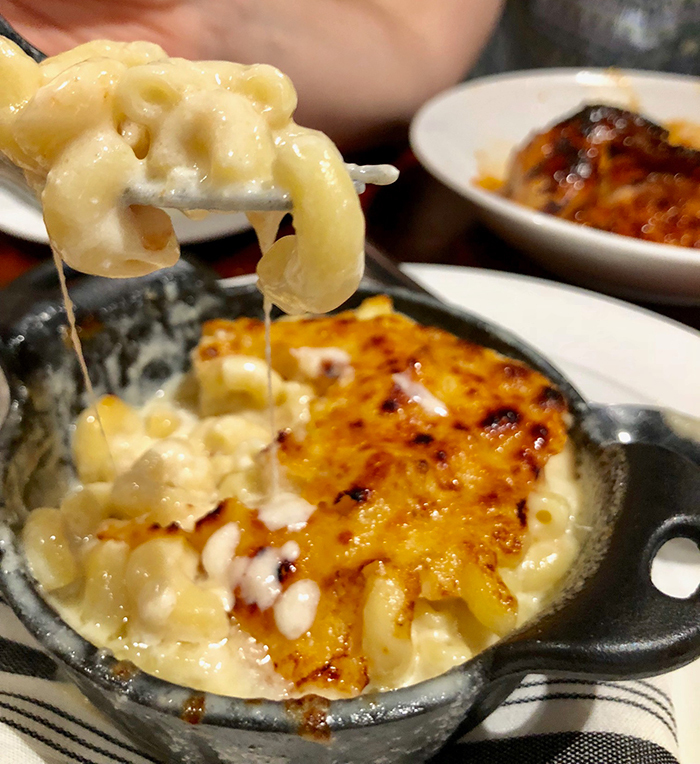 Here’s the 15 best spots for mac and cheese in Charlotte. 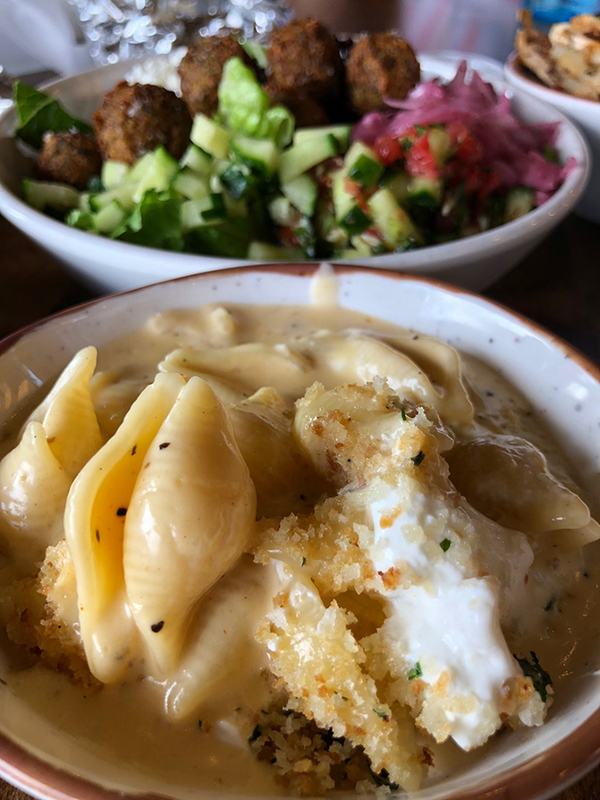 Here’s a deep dive into our city’s mac and cheese scene. List is in no specific order. Southern kitchen and craft cocktail bar serving up stylish comfort food. About the mac: It’s rich, just the right amount of creamy ($6/$12). You can even top it with spicy crispy chicken skins for just $2 extra. Legion Brewing’s newest location – serving up all your favorite Legion brews, plus, a full food menu. About the mac: It’s called Benton’s Ham Mac and Cheese and it’s made with corkscrew pasta, creamy cheddar sauce and Benton’s ham ($8). It pairs great with a Juicy Jay. Cozy wood-fired kitchen offering classic Southern American and European staples. 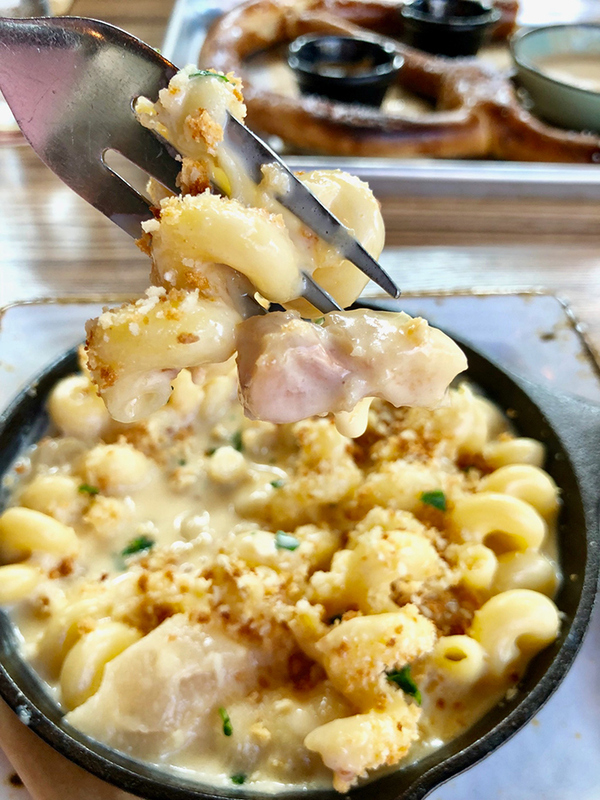 About the mac: Rooster’s mac and cheese is all about that melty, baked-top crust. Casual Mediterranean eatery slinging shawarma bowls, hummus and house baked laffah. 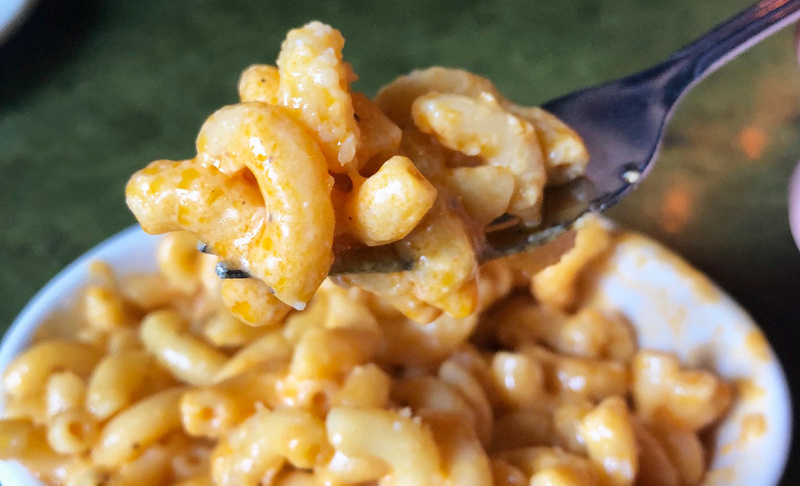 About the mac: Made perfectly creamy by using Greek yogurt. Genius. Elevated Southern kitchen with craft cocktails. About the mac: It’s spiral-y, cheesy and topped with fresh herbs ($4). Enjoy it by itself or order it with their fried chicken. Casual BBQ joint with multiple locations in Charlotte. About the mac: Their classic mac has that thick, homemade-feeling consistency ($3.50). Just what you want with pulled pork and coleslaw. BBQ, wings and beer served in a biker bar-style setting. 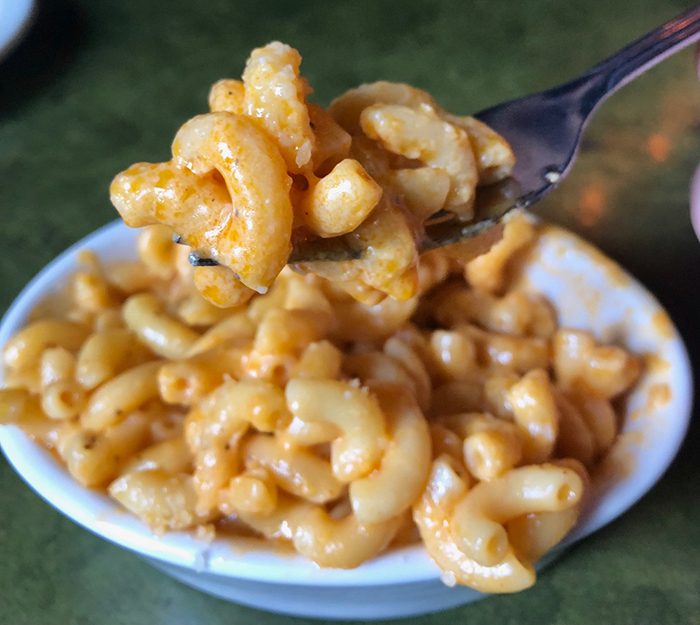 About the mac: The classic elbow noodles remind us of being a kid and we live for the random bits of melty, shredded cheddar ($3). Modern, Southern fare served in the historic Dunhill Hotel. About the mac: It’s served in a cast iron skillet and made with cheddar, piquillo peppers, crispy ham and goat cheese ($8). YUM. Korean-inspired BBQ spot with craft beer, cocktails and karaoke. About the mac: Made with ramen noodles, it’s a unique take on an American classic. 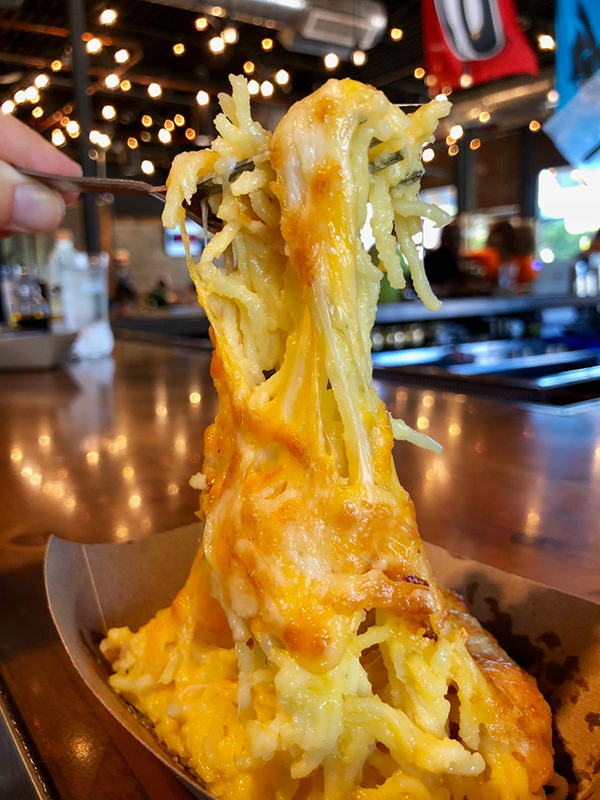 Check out gooey, stretchy cheese action ($4). Laid back tavern in NoDa serving up American favorites. 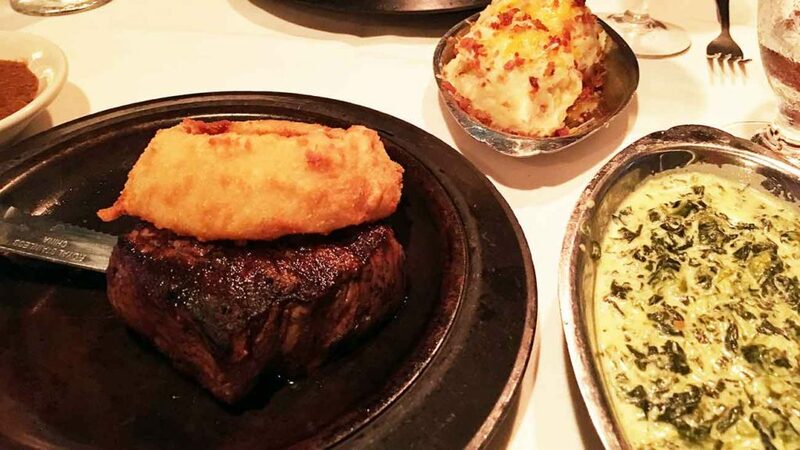 Upscale steakhouse in Uptown serving classic American cuisine in a clubhouse-y setting. About the mac: It’s creamy, thick and filled with juicy pieces of fresh lobster. They finish it off with a blanket of buttery bread crumbs ($18). Rustic Mediterranean eatery in Dilworth with small plates and a large patio. 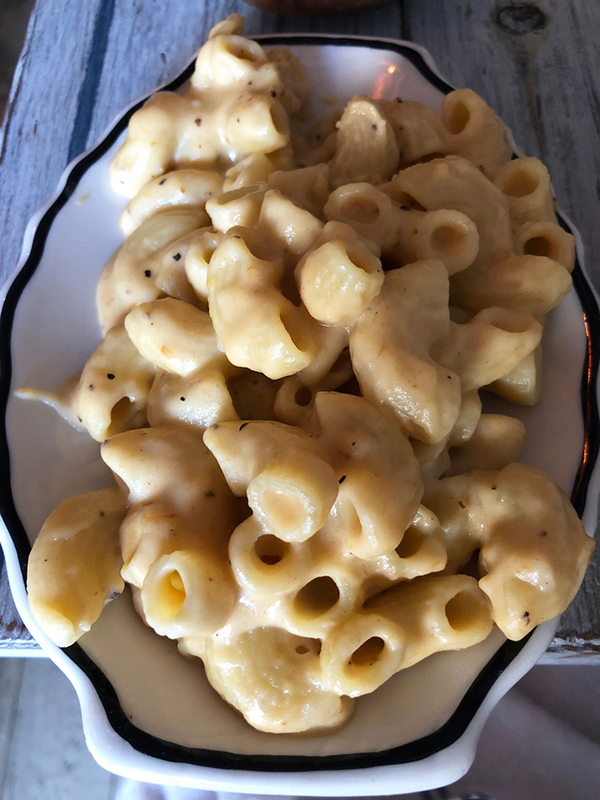 About the mac: It’s cooked in a cast iron skillet and made with homemade mornay sauce, leeks, shallots and five cheeses($6.95). That’s a lot of cheese. Insanely popular food truck serving up nothing but grilled cheese. About the mac: Their Pig Mac consists of heritage pulled pork, mac n’ cheese, bourbon onions and cheddar cheese ($9.50). You can also do a more simple version named the Mac Melt, a creamy mac n’ cheese grilled cheese ($7). Eclectic pub food menu that pairs perfectly with a Good Morning Vietnam. 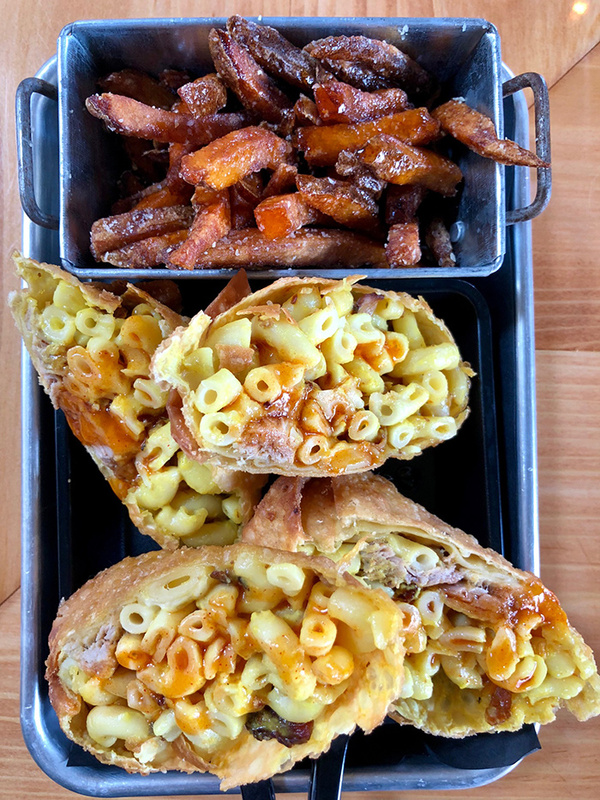 About the mac: It’s called the ‘Bosshog Mac & Cheese Eggroll’ and it’s filled with beer boiled macaroni, gruyere, smoked, bacon jam, stilton and parmesan cream, liquid cilantro drizzle ($12). French brasserie in Uptown serving classics like french onion soup and beef tartare. 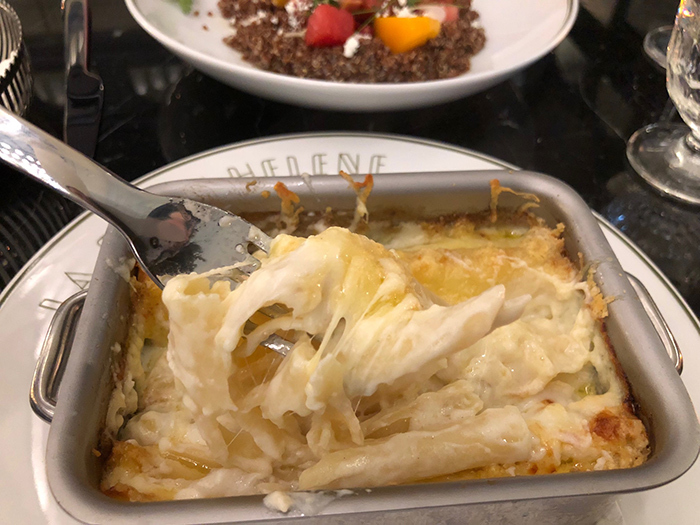 About the mac: Macaroni gratin ($8). Comes with that satisfying baked top crust and a decadently creamy middle.